Holy last email update to yall. After this I'll be texting/calling/Facetiming you. Blah. Such a bizarre thought. So, here's a small update from last week. -It thundered for the first time since I think I've been in Cali......it was SICK! -Got a picture with the Lucerne sign finally. -While at a members house a 17 year old boy pantsed himself then freaked out going "oh my gosh. I forgot the sisters were here!" hahaha. -TRIED RABBIT. As in, we had it served to us for a meal. It was yummy. -Sister Brentlinger crushed my life by telling me that I was "slowly starting to look more like a Return Missionary than a current one." Said my "look" had deff changed since we 1st got together 3 months ago......THANKS! -All of our Recent Converts and Returning Members had a temple baptism trip and they ALL brought their own family names. They loved it. The spirit was there. They want to go back ASAP. How wonderful? This is what it's all about, people. -Hit my 18 month mark! -A member in my ward threw me a little surprise lunch with all my loved ones here and from Bear Valley ward. It was super thoughtful and tears were most certainly shed. -Had my departing interview with President Hobbs. Boy, am I thankful for that. I have been sooooooooo fine with going home ever since. He gave me a ton of advice, we talked some things through and I think I am on the right track to staying strong and living the truths I learned here. I GOT THIS. -Sis B straight fell into our bushes walking in to our apt and it was almost as bad as me falling on my face while sitting on a bed. You probably can't picture it and that's probably for the better. hahaha. -Got GORGEOUS pictures of the valley from a members house in the ward. Wow. This place really does have it's own kind of beauty. -Twas WINDY like noneother here. For dayz. -A 6 year old in the ward during church opened his Book of Mormon, saw my little invite to my departing devotional, realized I was leaving soon and starting BAWLING hahahaha. So precious. SOOOOOOOOOO precious. -Got gifts, gifts and more gifts. People hook you up when you finna go home hahaha. This week is going to be crazy. I get to go to the temple with all the hooligans I go home with, we have lunch and dinner appts lined up for every single day and I get to see some of my loved ones from old areas the night before coming home. I know it's going to go way too fast, but I know it'll be the best. I look forward to seeing you all and telling you about my wonderful experiences here, but even moreso than that I'm looking forward to the day that I can stand before the Lord and give Him an accounting of my time spent devoted to Him and His work. I love my mission. I want to leave you all with my testimony that I know with every thing in me that the Church of Jesus Christ of Latter-Day Saints is the only true church on the earth today. I know that Christ stands at the head of it and leads it through modern day Prophets and Apostles. I know that Heavenly Father answers are prayers and that it's okay to doubt every now and then because it leads our to our knees in humble prayer conversing with the Lord. I know that through the beautiful power of the priesthood that families can be sealed for time and all eternity in the House of the Lord--The temple. I love my family. I love my Savior. I love the relationship that I now have with Him. I love knowing that just because I take off my badge soon and stop being a full time representative of the Church that I can still be a missionary. I know sharing the gospel blesses our lives. It changes our lives. It changes others. I know that I made promises with these people before this life to come find them and I have tried my hardest to not let any of them down. I will continue striving to be the best person I can be. I am so grateful for the prophet Joseph Smith who gave his life up for the gospel so that we could have it today. I know he saw God the Father and His son Jesus Christ. I know that every single one of you can know it as well--if you desire to enough and ask God yourself. I just had the BEST job in the world for 18 months. I love my calling. This is only the beginning. I am happy because of the gospel. I treasure my testimony. I always will. This was the "talking hat" during district meetings. I had to wear it to speak! I can honestly say that I feel I am leaving this area better than it was when I got here. That is a nice feeling. I have worked my tail off here. I've had my bad days, but I never once gave up on this place. I love it here. I am excited for the new sister that will get to come in and have so many exciting events coming up and people to work with. I hate that I am leaving my "home" now, but grateful to be coming back home. Getting all domesticated on the Mish!!!!!! My mom asked me a few months ago if I could use one word to describe my mission what would it be. My thoughts? Fulfilling, familiar, long-suffering lol jk, humbling, lasting, essential. I had told president in my email last week that “my mission has changed my life” and he corrected me and said the GOSPEL is what changed my life. How true. I’m thankful for such a wise man for my mission president. Monday- I ate A meal that day. That was progress hah. We basically did the bare minimum and that was pushing it just a little. We’re pretty sure Heavenly Father just helped us have enough strength to do the things we HAD to get done for Pday because once we had we went home (4 oclock) and knocked OUT til 7:08….we had a dinner appointment at 6….we woke up and felt so bad for missing it, but realized we felt even worse than we were making ourselves believe. We cancelled our 7:30 appt and laid around the rest of the night. Because we have really great Zone Leaders/Ward Mates who knew we had been struggling (physically, mentally, emotionally) they called us and made us laugh for like 15 mins straight. It was nice to laugh. It was a really hard day. Tuesday- I woke up at 6:30 am feeling nice and refreshed. I didn’t even feel tired at all. (that hasn’t been the case in like….uh…..6 months? Hah) other missionaries in our District were sick so they cancelled our District meeting. We were sick of being inside and not seeing people so we went to a different Districts meeting. It was nice to be around people instead of laying in bed. After we deep cleaned the apartment to get rid of any germ that could possibly still be lingering around. We were DONE being sick. It gets old. Fast. After that we went to a Sisters house in the ward and she taught us how to make eggrolls! It was so much fun and I can’t wait to show off my eggroll makin’ skills when I’m home. We made enough to feed an army!! So when we left with tons of left overs we gave the extras to the zone leaders. Come to find out, they didn't have any food that week, so our egg rolls helped them make it to P-Day. Wednesday- My last Zone Conference to attend on my mission. Phew. That caused for celebration so I wore makeup for the 1st time in 2 ½ weeks! It was really nice to see familiar faces, although, I felt I hardly knew any of the faces anymore. All my friends have either gone home or gone down the hill so I never see them. It made me so happy a few times during the meeting Sister B made some realllllllly deep and incredible comments. I sat there really proud of the missionary she is becoming. She has changed so much since day 1. Some good quotes/thoughts I had from the meeting that are note worthy?? -President: I’m still growin older and uglier each day. -the struggle itself is part of the Atonement. -The Lord won’t move our mountain, but He will help us climb it. -The question isn’t “how do I get the spirit’ but rather ‘how do I KEEP it’ what do you need to give up/get to have it more fully? -Pres: is God without trial??? HE HAS TO PUT UP WITH EACH OF US!!!! -Theres peoplpe on both sides of the veil praying for us at all times. Anywho. The meeting was from 8-2 and Sister Brentlinger and I held together (and truly did feel fine) up til like 12…it was rough. I kept having hotflashes. We went home and napped. Again. UGH. WE WERE SO OVER SLEEPING BY THIS POINT. Chris (Ashleys son) had his baptism interview and passed with flying colors. He is such a stud. He knows SO much. We asked him to explain what a prophet is and his response? God tells the prophet what to do and the prophet tells the bishop. Hahah. Spoken like a true champ. OH! I got a cool nickname at dinner: Sister Diamond!!! He said he decided on that because of my quick, bright smile and my sharp whit. Hehe. I was really thankful we made it to that dinner because I considered calling and cancelled (we still felt horrible) but because we didn’t we went and had a POWERFUL lesson. By the end the less active said “So what I got from your message is that we need to take our bad habits and replace them with good ones!” I’m grateful Heavenly Father teaches people through the Spirit and not by our own talents and tact…if that was the case missionaries would never be successful. Thursday- biggest miracle of the day? I didn’t run over Sis. B when her clumsiness failed her haha. I will tell you, in her words, the event that took place. The next biggest miracle of the day was that we finally made it through a whole day without having to stop, have a nap, feel like complete crud and just work. So refreshing. Found out that Chris had been inviting people to his baptism all week. That was so sweet and precious to hear. It’s so funny how excited he got about his baptism. I loved seeing it. He filled me with more enthusiasm which was much needed after the past few days we’d had. Friday- CHRIS’S BAPTISM! It was….CRAZY hectic hahah. Everything changed super last min and boy oh boy I can’t wait to tell you all about it when I get home. Yep. I just pulled that card. Ain’t no body got time to write about allla that :p the top neatest things about the baptism were 1. seeing how much God had provided a way for it to all work out even weeks ago without us ever noticing it and 2. seeing how stinkin’ excited/nervous/anzious chris was about it all. He was running around SO happy before it and couldn’t wait. He is my favorite. AWESOME MOMENT: earlier in the day we needed to stop by a Recent Converts house that had just moved into the ward that we’d never met. As we pulled up I notice the ton load of dogs in the fenced in yard. I knew the only way to get to the door was thru the gate but that mess wasn’t happenin! Yall know how I am with dogs. Well, just animal in general haha. So in our prayer before we got out of the car I asked heavenly father to help us in the sense that the dogs would be loud enough that it’d make someone come outside to check, therefore noticing us and so on. Well. Guess what. Sure enough that happened!!! All it took was like 48 seconds! It was awesome. I love that if we will specifically pray (and it’s in line with Gods will) that He will specifically bless us. COOL. We had a lesson with one of our investigators and the first thing she says is "I want to get baptized at the end of May beginning of June. I want to wait till then because I want my family to be here for it so that they can feel the spirit and hopefully one day let missionaries into their home. " It was difficult to not drop our jaws. She started to cry and said “The only bad part is that you won’t be here and I want you to be.” It was hard to hear/realize but I told her that it was better for her to wait and have her family experience it with her than to have me there. Who knows, maybe I can skype in? :p she is amazing. GUESS WHO I HAD DINNER WITH???? My recent convert Guillermo from Diamond Bar!!!!!!!!! He and his non member wife drove up to take sis b and I out. It was SO nice to catch up with them. I couldn’t stop smiling. I was on cloud 9. they both bore testimony to us before leaving that we were doing a good work and that none of our efforts were in vain. They are precious. I loved seeing them more than they will ever know. Favorite quote from a 6 year old boy “sometimes when I get nervous I fall over….sideways…” hahahhaah. Sunday- Our golden investigator came to church. She was late, but she came and stayed for Gospel Principles. She was going to stay for Relief Society but decided to go home and spend a couple of hours with her husband before he left again. He's gone often for work so she tries to see him as often as possible. She wants to start talking to him about asking for Sundays off instead of Mondays so that he can come to church with her. This was her idea not ours, I'm telling you she is so amazing!!! She asked questions about the topics the speakers talked about it, and different things she heard about in Gospel Principles so that she could better understand. She absolutely loved it. AFTER 2 ½ WEEKS OF NOT SEEING MAMU SHE FINALLY CAME HOME AND WE GOT TO SEE HER. I love that woman. I can’t stand the thought of having to leave these people in 2 short weeks. Ugh. Honestly, if I can go on a mission, I can do virtually ANYthing. This is hard work. I feel so accomplished. I feel as though this is Gods way of building up my confidence. Thank goodness. He knew I needed it. Ha. Sorry for tons of writing. I just……am coming to and end and am in denial………blahhhh…….i hit 18 months this week. CRAY. Love yall. See you soon. Twas a week filled with lots of “lasts” on the mission. Monday- Honestly this day was a little rough. HOWEVER. Through the midst of all the hardness, I was able to recognize the many many many tender mercies the Lord was sending my way. He is so good to me. Always. Even when I don’t deserve it. Because He always loves us. No matter what. Tuesday- I woke up in some serious pain. I laid in fetal position on my bed for like an hour HA. So pathetic. It was my last Zone Meeting to attend on my mission and they stinkin’ made us sing ‘God Be with You til We Meet Again’ as the closing hymn. HOW RUDE! Hahah. It’s safe to say that I cried through the whole song. BOO. We found 2 new investigators this day and got in contact with someone we’ve been trying to for a while. Wednesday- I finished the Book of Mormon for the 3rd and last time on my mission :) I love that book. It brings so much guidance, peace, comfort and direction to my life. It has for sure strengthened my testimony in the Savior too. We went to Squash Farm again and worked our tails off. Proof of how hard we worked....dirt! It was funny because all the elders there kept taking breaks, ‘using the bathroom’ and getting water. Aka: doing whatever they could to get out of work. Sis Brentlinger and I never stopped once. Oh, silly elders. How ya gunna let the sisters out do you like that? :p When we got home dirt was falling out of every place possible. It felt nice to take a shower and get clean ha. Thursday- We were on exchanges. My last exchanges on the mission. Blah. I was with Sister Wall in the YSA ward for the day and it became very clear to me as to why I never served in a YSA ward hahah. Awkward encounter #1: while sitting down this guy rides up on his bike asking what’s up. He tells us he’s going around trying to find his future wife, then proceeds to ask us if we’d like an application….hahah. we changed the subject always, then at the end he asked if he could get our number so we “could talk about Jesus and stuff” but once we told him we could get him the ELDERS number he quickly declined and was on his way hahah. 2nd one: we went up to this kid and he just kept saying “I do drugs. Do you have drugs?” hahah. Eventually we got him to take the survey we were doing and once we gave him a #BecauseHeLives card he legit pulled the front of his pants open and shoved it down. He ended the convo by saying “I do drugs. HAIL SATAN!” hahaha. Later we were talking to other people, he walked by again and screams “THEY GAVE ME DRUGS. DON’T TALK TO THEM!” hahaha. I love meeting people out here :) pyschos and all! We got hit on all day. It was. Uncomfortable. And so beautiful hahah. I wasn’t super awkward every time it happened though which gave me a little bit of hope that I won’t be COMPLETELY weird when I get home. Oh, I got asked to be Isaiah and Sarahs babys God Mother hah. Cool stuff. While visiting someone that day they made the comment of “yeah, we’ll see who you are once you don’t have that lil name tag on anymore” and I say appalled. It motivated me to TRULY always be the person I was here on my mission instead of being a “one hit wonder” so to say. Saturday- Finally took a picture with my library buddies! We went to a baptism in Lucerne so Sis B could play piano for them. It was such a great experience. As the teenager was baptized his non member brother got up after to bear his testimony of a sort and in it said “you know, now you got me thinkin’ about baptism brotha. I think I want to be baptized!” how sweet? Hm. So things were going fine. We woke up and Sister B wasn’t feelin’ so hot, she had like a head cold type thing, but life proceeded on. After our morning full of studies and meetings we finally started church at 1. While the Sacrament was being passed I started to get really hot and dizzy. I finally looked at Sis B and said “uhm. We might have to get up and go to the bathroom. I think I’m getting sick” she goes “yeah, just let me know when.” And I very quickly was like “UUUH. Now. We need to move NOW.” Haha. Thankfully Heavenly Father helped me not to get sick until I was IN the bathroom. I felt awful. I didn’t want to go back in the chapel just incase I went to get sick again. We sat in the foyer. I had a little wet towel on my neck trying to cool myself off. A woman in the ward walked by and asked how I was and I just went to bawling….you know…women problems n all….hahah I told her “You know. I’m just really frustrated because satan is doing everything in his power to get me to stop working and I’m so over it. I only have 3 weeks left and I don’t want to be stuck inside sick.” So here I am, a hot mess, and then all of the sudden we hear over the microphone “At this time I would like to invite one of my favorite people up to bear her testimony.” Sis B and I immediately looked at one another. We KNEW where it was going…and we were right….he went on to say “I would like to invite Sister Toolan to come bear her testimony because she is leaving us soon. She is one of the best missionaries I have ever seen in my lifetime. Not to say the others weren’t , but she’s just an incredible missionary. She comes over to our house often and is very close with our family. She has helped us through some really hard times. I love that sister like a daughter. We are fortunate to have her and we are very sad to have to let her go. Without further or do..Sister Toolan..” I go from crying, feeling pathetic and worthless to putting a smile on my face, praying and praying that I won’t get sick up there in front of everyone hahah. Im thankful Heavenly Father blessed me with the talent of being able to “fake it til I make it” haha. After Sis B and I got priesthood blessings and were counseled to go home and rest. So we did. We slept 2:30-8…then took NyQuil and slept thru the night hahahah. I was also counseled in my blessing to keep being of good cheer, so later while I was still sick and miserable I realized I had only ate 3 crackers the whole day…I took the counsel to heart by telling myself “Hey, this is a really good way to lose weight! YAY!” HA. I was so weak haha. At one point when I was cleaning my sickness up I got annoyed and said “dang it! Why can’t my mom be here to clean this up for me right now!??! !” hahaha. I’m glad that day is over. Hm. This week? LOOOOOOOOOOOOOONG week. We worked hard and lots of great things happened, but I can’t believe all these things happened only a few days ago…seems like foreverrrrrr. It’s probably because the whole week I was fasting naps (she means she was going without naps to show obedience). We had just fasted (food wise) that week and I didn’t want to starve myself so I gave up an item that I knew would prove to Heavenly Father that I wanted to show Him what I was willing to give up to be more in tune and sensitive to the spirit during conference. It totally helped. I LOVED conference. Monday- for zone activity with all the missionaries we had a late birthday party for and elder and I. It was a ton of fun and put me on a sugar high for the rest of the day haha. We had dinner this night with a family in the ward who had never fed us the whole time I’ve been here. They were a powerhouse couple. I felt the spirit like crazy in their home which made me really grateful they live their lives in such a way that it radiates around them. My favorite part was that they said the opening AND closing prayer. A lot of times people ask the two missionaries to say the two prayers when we go to their home, but for me, I like to hear other people pray. I like to hear the things that concern them, are on their minds, are troubling them..it’s a good learning opportunity for me. A woman in the ward asked us to give her like 20 #BecasueHeLives cards because she had already handed out the 5 we gave her. She ain’t scuuured! Speaking of which. Yall need to watch this if you haven’t, watch it again if ya have, and share it like crazy. Tuesday- This night we were on our way to visit someone and in the process we were passing by a house to a potential investigator so I was like “eeh, won’t hurt. Lets just stop by really quick and invite them to the ward party this weekend!” so we did and it was PERFECT. She had just found out that a family friend has passed away so we were able to teach her a little of the Plan of Salvation (such a happy and wonderful plan :D) and also her kids weren’t home so we actually allowed us to come in for once. After showing her the #BecauseHeLives video she said her favorite part was that “it was all true and made sense” :)))) aaah. The whole thing just gave me testimony that we, as members, feel the spirit all the time (if worthy) it’s just our natural instinct so we don’t think of it as the spirit. I didn’t have this huge prompting like “we NEED to go see her” it just made sense to and BAM. We feel the spirit. It’s in us. Sister Brentlinger has been laughing like me, she even accidentally snorted this day. I am wearing off on her! Hehe. Me: ok…what’s C stand for? Him: for some reason I keep wanting to say..apples??? Later on…………..us: what about S? Me: dude, comeon! God doesn’t have any problem with you eating Subway! Hahahahaha. We felt prompted to go randomly visit our recent converts and while there (feeling uncomfortable given the situation) their non member cousin gave us a referral to go visit someone! WHOA. Super cool. Never happens. Thursday- Got to jump on a trampoline for a little while with Ashleys kids after a fab dinner at her house :) it was a gorgeous day. Practically perfect. Friday- Had the ward Easter Egg Hunt and it was a hit. We had a ton of people show up and have a good time. I love this ward. Such great people. It was a tough day though. We had a ton of people open up to us, confide in us and tell us of some serious issues they’re having. It broke us for a little. Sister B had to talk someone out of committing suicide on the phone for an hour. It was just an overwhelming night. We got through it though. Only with the help of such a loving Savior. Saturday- while watching conference I found proof that little kids listen to and benefit from conference even when we don’t realize it. Sister Moffetts granddaughter was sitting at the computer playing but each time, even SUPER into the game, when a prayer would begin (without us telling her) she would stop, bow her head and listen. It was a great thing for me to witness so that one day when I have kids I don’t give them the excuse that they’re too young or something. THEY LISTEN. CONFERENCE IS FOR EVERYONE. Sunday- it was Easter. Sorry I forgot to wish yall a Happy Easter last week. I know. I’m awful. So forgive me :p SO HAPPY LATE EASTER! We went on a hike with a member family (it’s tradition for them) at 6 in the morning and right when I walked in and started talking - one of the guys goes “SEE. I tollllllld you sister Toolan would be happy and full of life even at 5:45 in the morning!” hahah. I guess I’ve learned to love mornings :p the hike was gorgeous. Powerful testimony was shared. GOOD NEWS: after a long week and lots of crazy events that I can’t even begin to tell you on here I was in the shower praying (like I DO!) and it hit: my brain/heart/body can’t take this much longer. I have worked my tail off for 17 months now. I’m tired. I’m worn out. I keep fighting, but God let me in on a secret that my time is coming to an end and it’s much needed. Heavenly Father gave me so much peace about coming home. I see things a little differently now. I’m still nervous, still excited in ways and sad in others. But I completely get it now. Wow. Long week. Sorry for the overflow of info. Love yall. 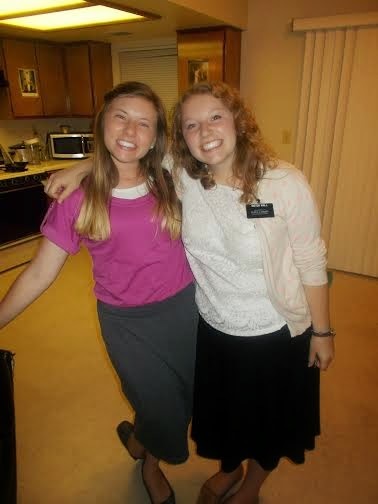 I don’t know how I keep forgetting to tell yall this but both Sister Brentlinger and I are “Katies”. The even better part is that we were both given names at birth that we were never called. Hahaha. A strange thing happened like two weeks ago. At the beginning of my mission it was a struggle to not sing “worldly music” especially when we’d go somewhere that’d be playing it. Then the middle of my mission came and it was almost like I just didn’t even hear it anymore. I didn’t know the songs anyway after being on my mission so long so it wasn’t a problem. BUT THEN…two weeks ago we were sitting in a house of a member and some songs came on right as we walked in and I just got the biggest knot in my stomach. I literally got a sick feeling. It hit me that in a few weeks that music will be allowed in my life again and it scared me to death. I hated that feeling. I realize that more and more things will start feeling that way for me and it makes me nervous. I got this though. No worries. I think..
Tuesday- Had one of THE funniest missionary meetings I’ve had my whole mission. I felt bad because I knew the purpose wasn’t to laugh and goof off, but you get a few of these elders together and you can’t avoid it hahah. It was so funny that I ended up snorting SUPER loud hahaha. We found out why one of the girls we are working with hasn’t been going to church. Her parents act like it’s fine until Sunday comes then they won’t let her. BUT: if it’s any other church she wants to go they let her. I just don’t get it. Sure, people don’t like Mormons and stuff but really? You’re not gunna let your 18 year old daughter who is probably in one of the hardest parts of her life go to church and strengthen her faith in Jesus Christ just because of that? Sounds ridiculous to me. 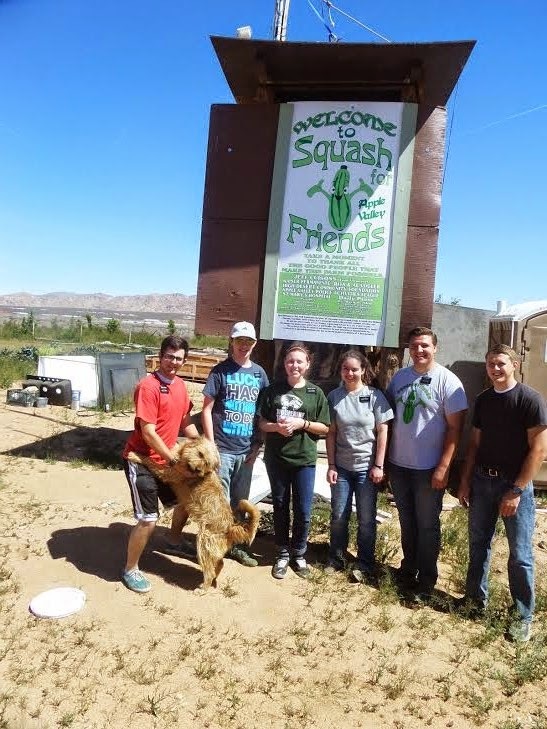 Wednesday- did service at “Squash Farm” and got a little sunburned on my face :) have I told yall before that I love getting sunburned on the mission? I’m actually really serious hah. one of the members that feed us like every week here took us to get sushi!! AAAAAAAH! I’m pretty sure that was my first time on my mission. It was sooooo good. It made me happy. Also, I realized Heavenly Father was helping me out because while there “Rolling in the Deep” by Adele came on and instead of getting all panic attack, I had this happy thought like “Man, I can’t wait to ride in the car with Benny boy again and just BLAST this song like old times haha”. Thursday- Had our first lesson with Ashleys son and it went great. He is getting baptized in like a month. YAY :) it was really cute to see how excited Ashley was about it. See, it’s all about family in the gospel of Jesus Christ. Always has been, always will be. Sister B and I were sore all day and many more from all the working out we’d been doing. Hahah. Man. I love being sore. Friday- we didn’t see a text from our investigator cancelling our apt so we ended up going which was a miracle because we got to have the lesson and it went GREAT. We’d been praying all week about what member to take with us over there to give her a friend and last min He told us, she came and it was perfect. I love how much He knows His children :) while passing off some of our people we’re teaching to some elders they asked to say a prayer and started grabbing hands to hold during it…so yup….had to hold an elders hand again…..it sounds so middle school, (but you have to realize missionaries end up being super childlike by the time they get home :p) it was so uncomfortable. Sister B and I both had to pee so badly this night that we had to pray not to wet our pants until we got to the nearest bathroom. Too funny. We have a good time. Saturday- WOMENS CONFERENCE WAS AWESOME. Boy, did I feel the spirit. This day I realized how hard satan is working on me. We seriously had THE best week ever by this point. So many miracles that I don’t have time to explain were happening left and right and I was at the highest point of “having faith” that I think I’ve been at on my mission. BUT: at this point satan is doing whatever he can to get me down and he knows something that gets me discouraged and sad is by having people that I love and adore disappointed in me. I can’t get into details all I know is IT AIN’T FINNA WORK! I am not giving up. He knows that I’m not the least bit trunky (aka lazy and giving up on working) so he’s doing what he can to get me to give up. Nope. Not happenin. Sunday- Church was great. We had some people show up. One of our investigators has been SO excited about reading his Book of Mormon every night. It’s so precious. He’s like “grandma didn’t have to even remind me!” haha. Spoken like a true teenager :) I got really grossed out watching this newly wed couple all lovey dovey in Sunday school. Sister b kept laughing at me because she’d look over and see the disgust on my face. So, that’s about it. LOVE YALL. Random tulip in the desert!